We are dedicated to conserving, restoring, and re-generating this land so that it will remain life-giving for all inhabitants- human and more-than-human- for generations to come. 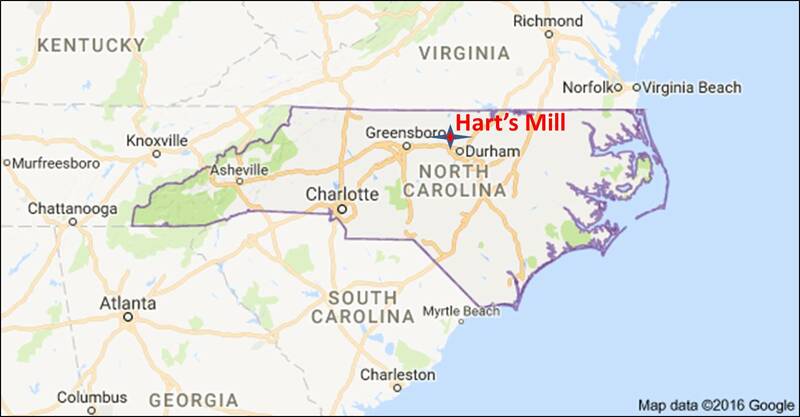 The Hart’s Mill site in western Orange County is in a fairly rural area but one experiencing some population growth, with acceleration anticipated due to economic development along the I-40/85 corridor and the proximity to the vibrant communities of Hillsborough, Mebane, Burlington, Durham, Chapel Hill, and the rapidly growing Triangle and Triad regions. 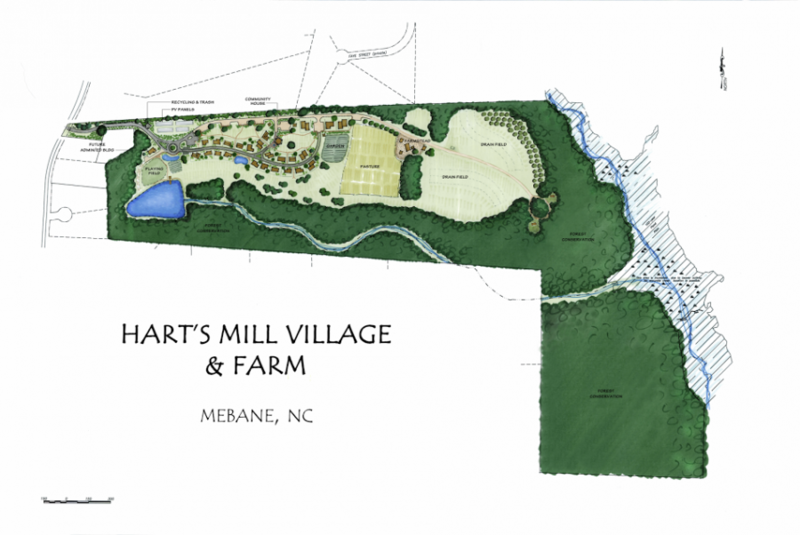 The site is comprised of 112 acres of gently sloping woodland, pasture, field and streams, and is about 80% forested. The parcel is about 2/3 of a mile long going east to west and about 1/5 of a mile deep from north to south, althou gh there is a long “handle” in the southeastern corner. The land in general slopes from northwest to southeast. 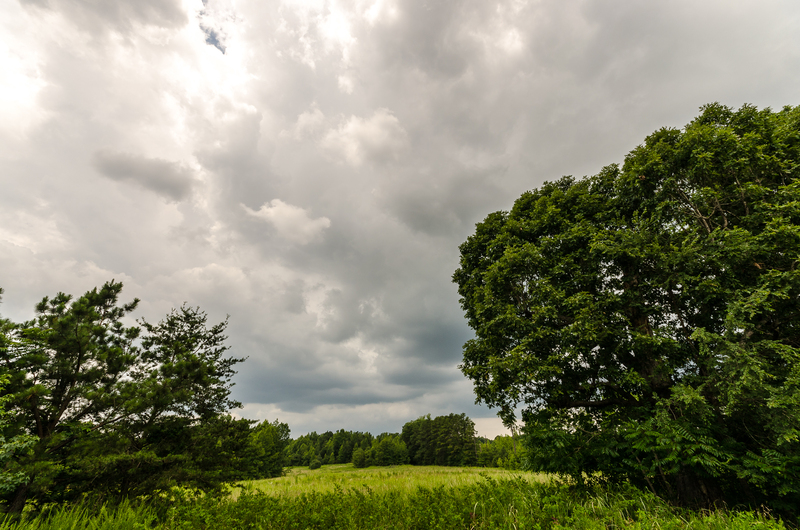 The upland areas are characterized by soils from the Herndon, Georgeville, Enon, and Cecil series, much of which is favorable for agriculture, and the soils along the creeks are from the Chewacla series. Most of the land has been historically farmed and timbered, although it has not included a primary residence for a number of years. 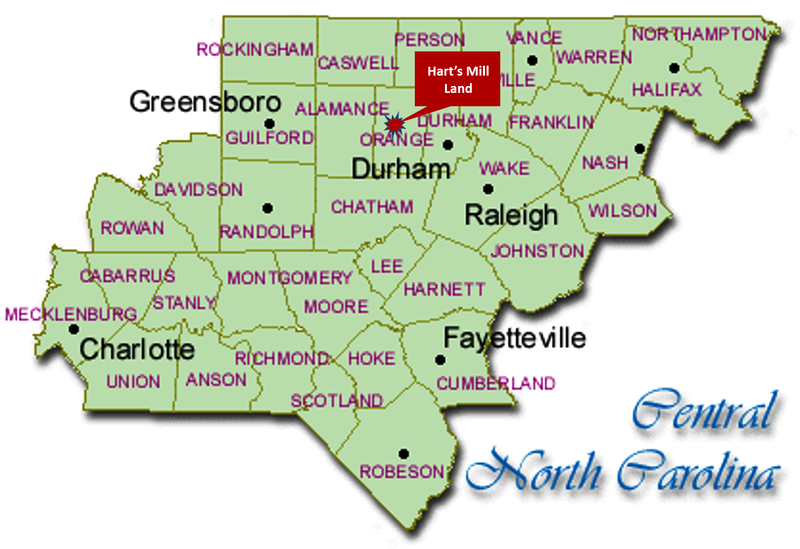 It is characterized by a pond and lowlands along an unnamed headwater stream for much of the southern border, a slope down to McGowan Creek, which forms the eastern border, extensive wetlands/beaver ponds along the eastern border and southeastern segment, open land on the west and north central portion of the site, and a 10-acre field to the east of this area. A considerable portion of the forest is relatively young and characterized by early succession species, although older growth is present especially on slopes and lowlands closer to McGowan Creek. The history of human occupation on this land is deep, rich, and fascinating. Click here to read about what we know so far.